Norma Anderson with dogs Ailsa and Mason. Right: Tayport Common. 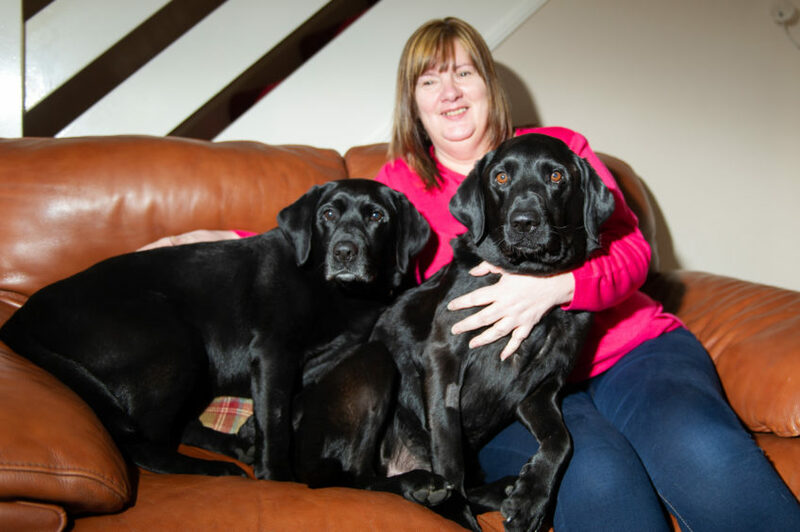 Dog owner Norma Anderson has warned others to be vigilant after her Labradors Ailsa, six, and Mason, seven, were both treated for suspected marijuana poisoning in incidents which happened in January and in the past few days respectively. A third dog, Jaffa, was diagnosed with cannabis poisoning in a separate incident in January, with all cases linked to the Tayport Common area. Jaffa’s owner Sue Grant, 61, said: “There seems to have been a spate over a few days in January and now it’s started up again. Another dog reportedly died in recent weeks after ingesting rat poison, again after being walked at the common. All the dogs affected were Labradors. The devastated owner of the three-year-old Lab which died was too upset to talk about what happened. Local conspiracy theories have ranged from a “dog killer” being at large to drug dealers hiding stashes of cannabis around the common. So far there is nothing to suggest that the poisonings were deliberate. 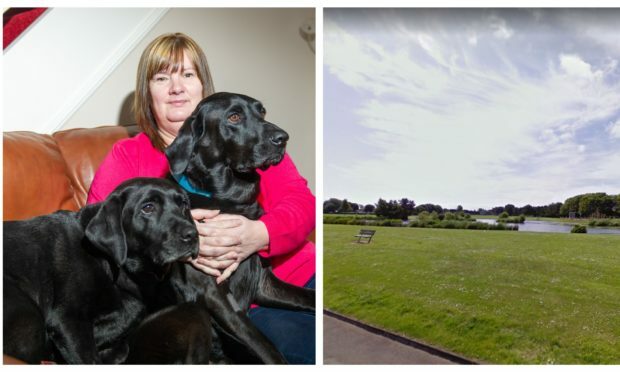 Norma said both her dogs became ill after being walked at Tayport Common. “I’m warning other dog owners to stay away from the common, because that’s the common denominator,” she said. Thankfully both Ailsa and Mason recovered fully, but Norma was hit with vet bills totalling £1,200. Ailsa was treated for poisoning in January and Mason became poorly over the weekend. “Ailsa was quite lethargic and she was falling over to the side, and she wasn’t with it,” said Norma. “She was walking like she was drunk and staggering. Police Scotland confirmed that cannabis was being treated as a potential factor in Mason’s case. Norma Anderson with dogs Ailsa and Mason. A police spokesperson said: “On March 3, 2019, police in Fife received a report of a dog having potentially been poisoned in Tayport. “A vet determined that the dog had ingested a psychoactive substance, and this is not being treated as a deliberate attempt to harm an animal. “It’s just very worrying,” he said.